Classical guitar is Sabrina’s biggest passion – she has been in love with the instrument since she was 7 years old. Its astonishing variety of sound colour – timbre- is what’s behind Sabrina’s fascination; every small, delicate movement of a finger, of either hand, can subtly change an interpretation. Sabrina always focused on playing with these colours of sound on classical guitar. This exploration of the instrument was particularly interesting for her due to a rare condition – synaesthesia – a phenomenon in which one perceives sounds, letters, and numbers as colours. Sabrina cannot remember ever playing guitar without seeing the sounds as shapes, colours, surfaces, or motion. This condition has made her more acutely sensitive to questions of sound colour and it has inevitably influenced her musicianship. What impressed me most when I heard Sabrina was her broad range of expression: from the most delicate and intimate, caressing pianissimos to almost frighteningly powerful fortissimos…all at the service of her musical interpretation. Accompanying this powerful expressiveness was a strong sense of intention – she knew exactly what she wanted to say. Sabrina loves to play works whose expressivity lies in the versatility and refinement of timbre. She is very curious about developing characteristic and vivid musical details in Spanish repertoire; exploring all shades of sadness from Brazilian saudade and Balkan zalopojka to the heart-breaking depths of Spanish cante jondo; and also developing interpretations of modern and contemporary music that uses timbre as a part of the musical syntax. Sabrina feels a responsibility to her own musical heritage and she can often be heard playing music of Balkan composers. Since she lives and works in the Netherlands, Sabrina has also frequently premiered and performed Dutch works for classical guitar. 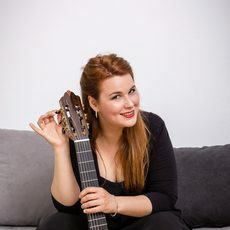 Sabrina became the youngest Professor of classical guitar in the world, at the age of 23, when she was appointed to her position at the Prince Claus Conservatoire, where she remains committed to sharing her passion for classical guitar with her students. 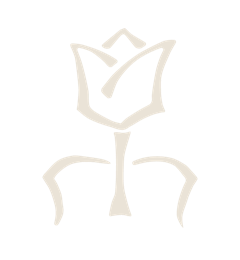 This year she started the Dutch Guitar Foundation- an organisation dedicated to enriching the classical guitar life in the Netherlands, building international relationships, and preserving the national heritage of the instrument. She is committed to developing herself further as an artist through research – she is currently completing her Doctoral studies at the Guildhall School of Music and Drama in London. Her thesis focuses on timbre, representing a continuation of her love for colours of sound of the classical guitar within the academic field. Sabrina travels the world with her guitar, giving concerts from Russia till Mexico. She is often told after concerts that she seems to be one with her guitar. Sabrina doesn’t mind being one with the classical guitar – it is, after all, her biggest love. Sabrina’s boyfriend is also a classical guitarist, so he doesn’t mind either.